The season is underway but the 2018 NHL Winter Classic jerseys are still a mystery. While we wait, Adam Del Monte has a prediction to share. This might be just weird enough for a Freak Out Friday. But I present it on a Tuesday because there's something about this Washington Capitals concept by Adam Del Monte that seems like it could've been real if the team had been founded in the 1950s or '60s. Or am I just crazy? I can't deny the Minnesota Wild have some great new uniforms — but I know some fans think the home and road sweaters should match. That's where Adam Del Monte's entry comes in. What will the NHL look like in 2017-18? 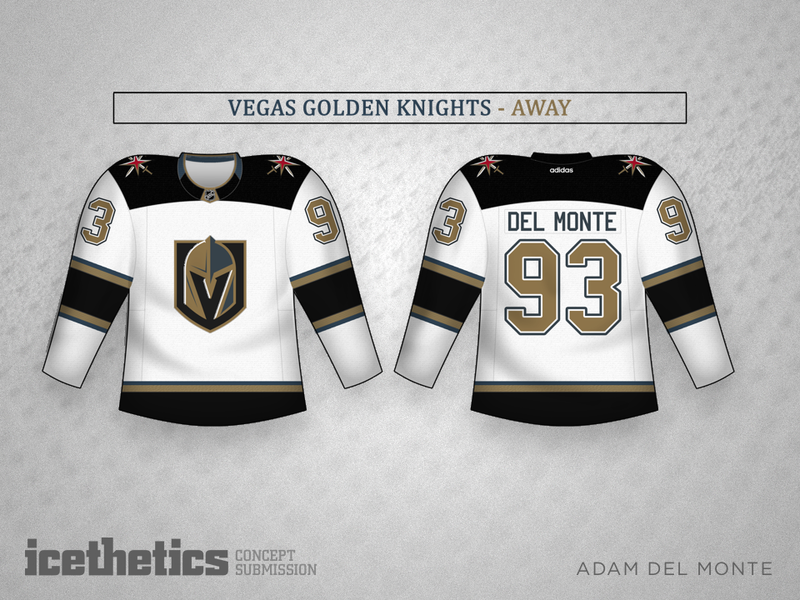 We continue to explore that question with Adam Del Monte's take on the Vegas Golden Knights. 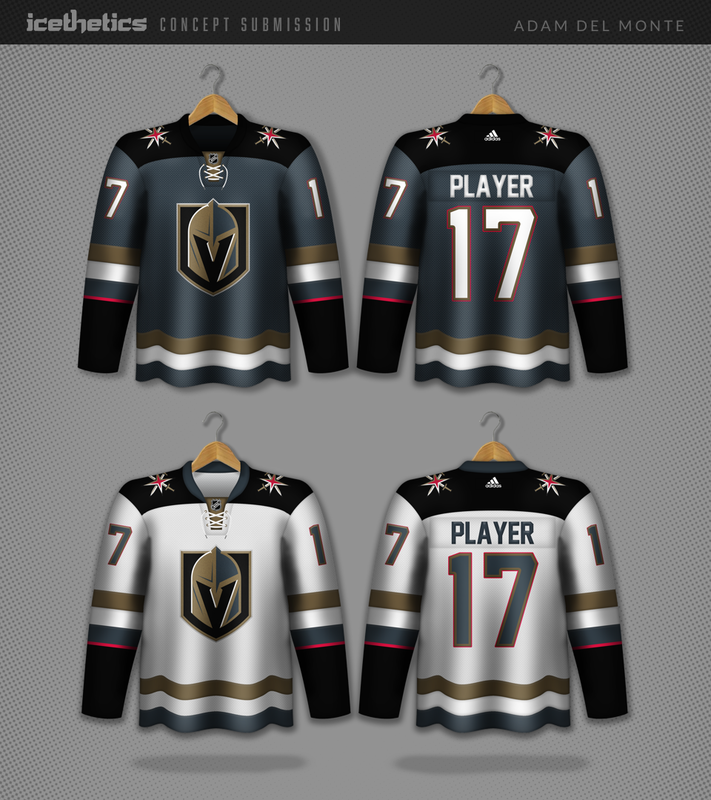 Despite how dark they are, I could see the real thing being very close to this design. Classic and sharp! UPDATE · Mar 9 · It was pointed out that a very similar version of this concept was first posted back in December. 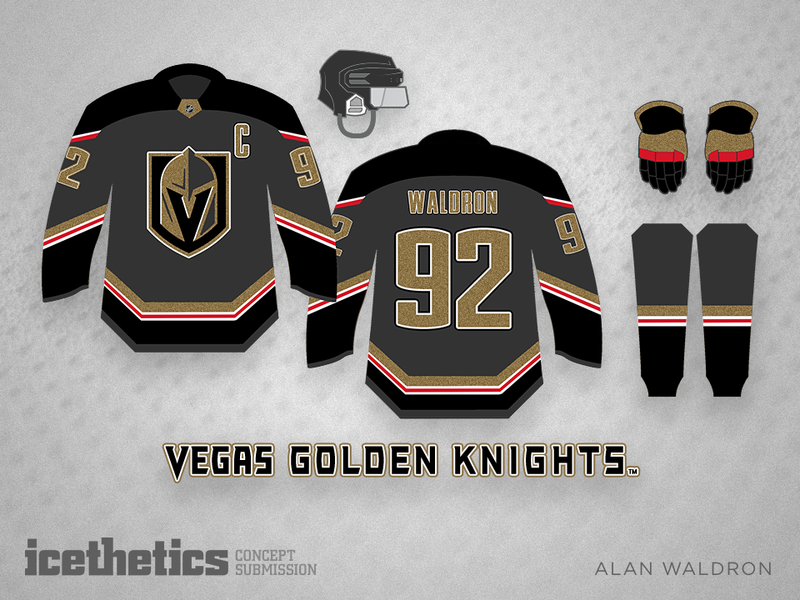 So to ensure we have original concepts here everyday, I'm adding an extra "trio" of Vegas jersey sets to this post. First up, Chris Fortier tries out an unconventional design. Adam Del Monte goes a little more traditional. And newcomer Tyler Crowder finds a way to make the red trim really pop. Below is the original concept that appeared in this post. This week the Vegas Golden Knights picked up their first ever player, Reid Duke. 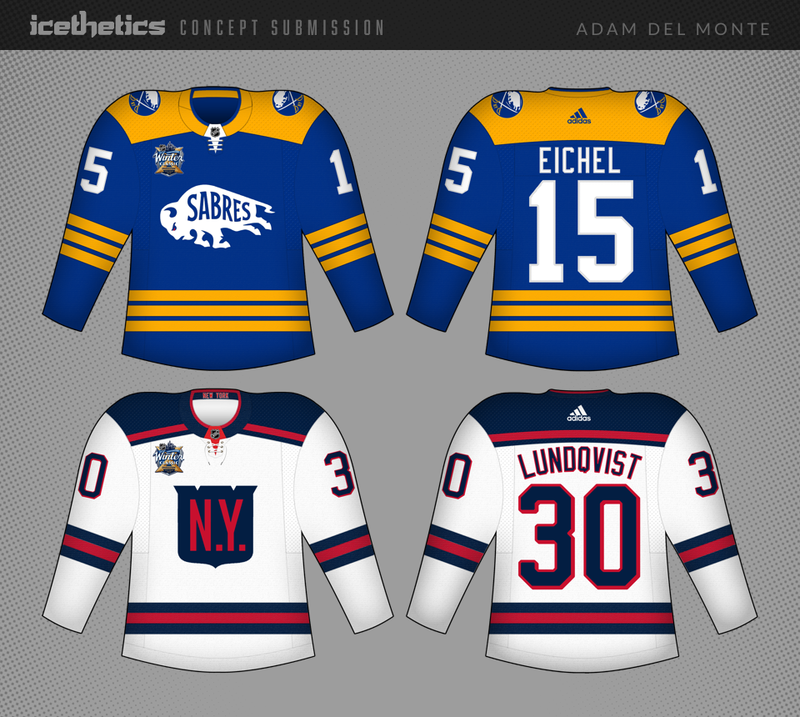 But the jerseys will remain a mystery, likely until the expansion draft in June. Until then, Alan Waldron offers up his prediction.